In the mid 90's, the old and cozy farm of my family turned into a Pousada, at the time was baptized as Hotel Casa Country. After 10 years I, my Husband and our little daughter decided to take on the challenge of a new project and, in search of quality of life, we took over the management of the Pousada. 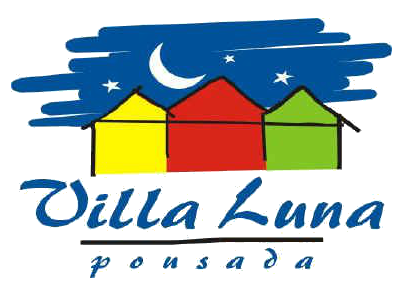 The Pousada Villa Luna was born (name inspired by the layout of the chalets and the sky of the region). With much work and concern for the well being and comfort of our future guests, the Pousada has been taking new format, new proposals, new projects. Always worried about the details, we changed mattresses, pillows, layouts, built the bungalows (our xodos). Today the Pousada Villa Luna offers its guests the comfort of a Hotel with good facilities, WiFi, room service, restaurant but does not leave behind the warmth of a good Pousada with hand embroidered percale sheets, pillows of various types, towels and cuddly robes, personalized treatment. Our guests become friends and we hope every day to continue surprising and pleasing. Not an easy task ... but we knew it would not be!